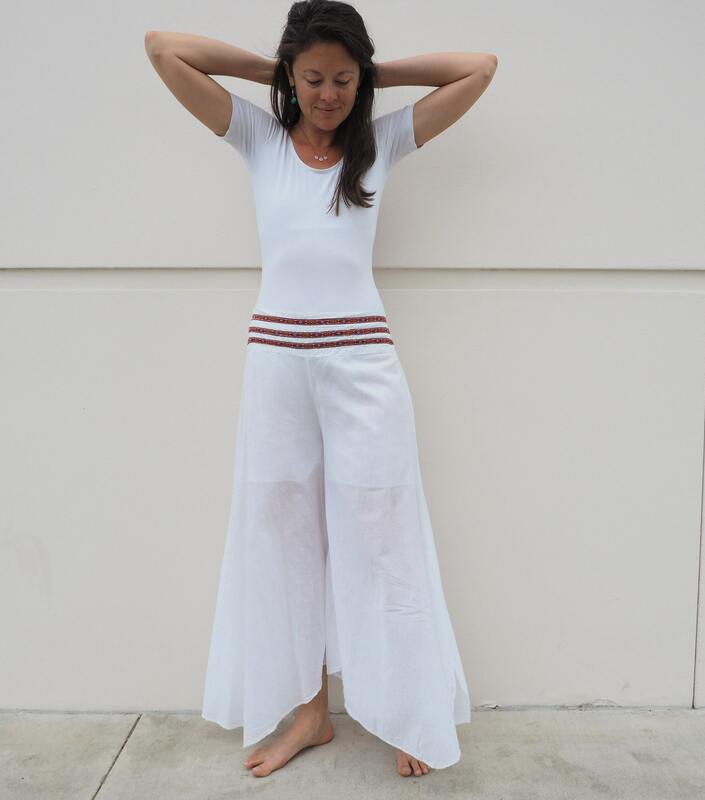 Cotton Flow Pants in WHITE // Partially Lined, Moisture Wicking, Yoga, Ceremony, Biking, Play! Flexible Waistband. 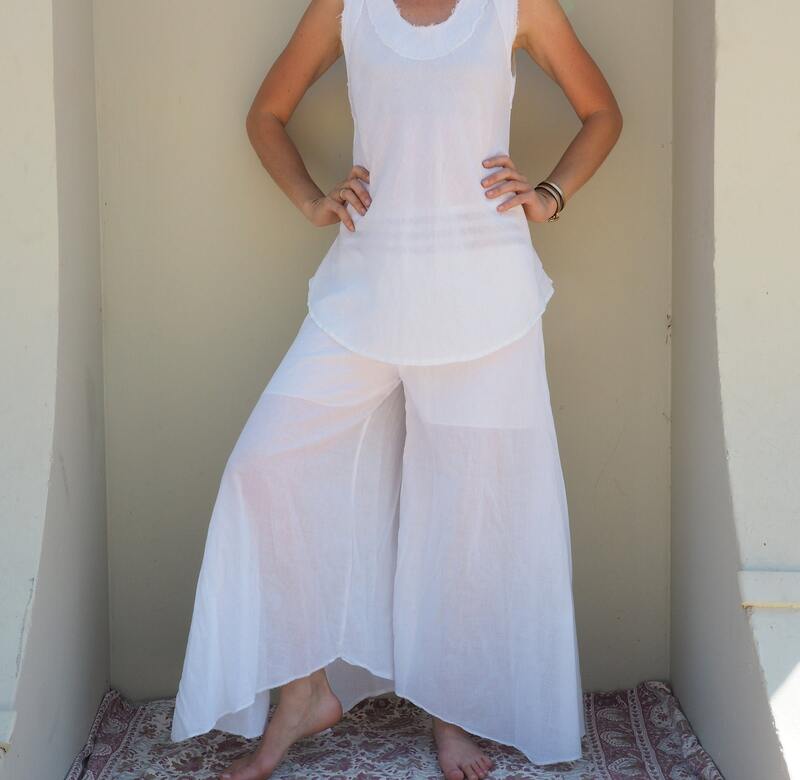 These elegant pants are my go-to for ecstatic dance, lounging, biking, meditation and play. 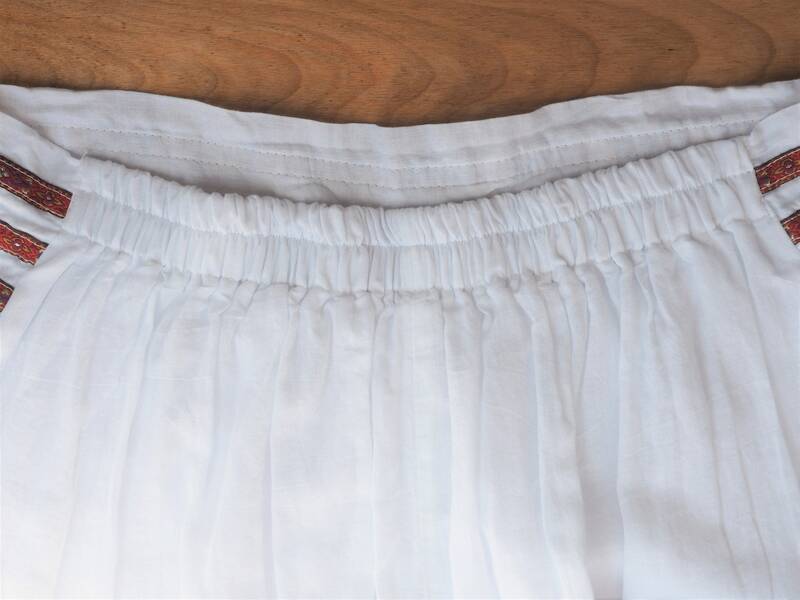 The smooth, wide waistband with elastic back makes them so comfortable to move, twist, and bend in. They are moisture-wicking and dry fast because they're 100% gauze cotton. They have a built-in shorts liner so you can wear nothing under them, be fully breathable, and still look elegant. 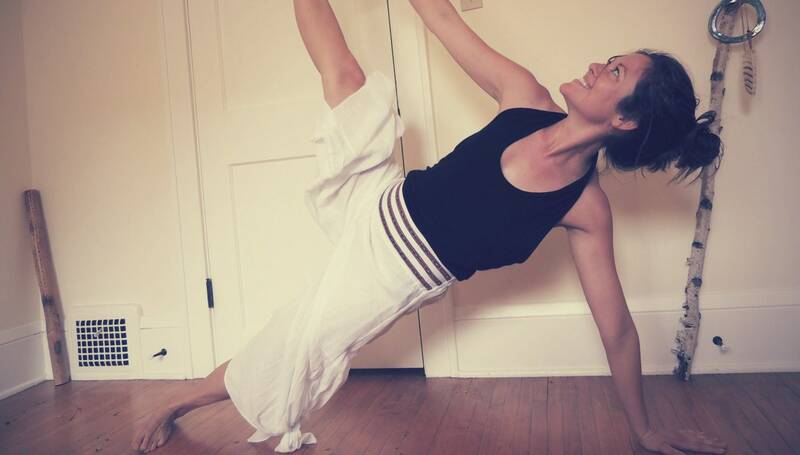 Wear them open and flowy at the sides or tie them up for biking or yoga. 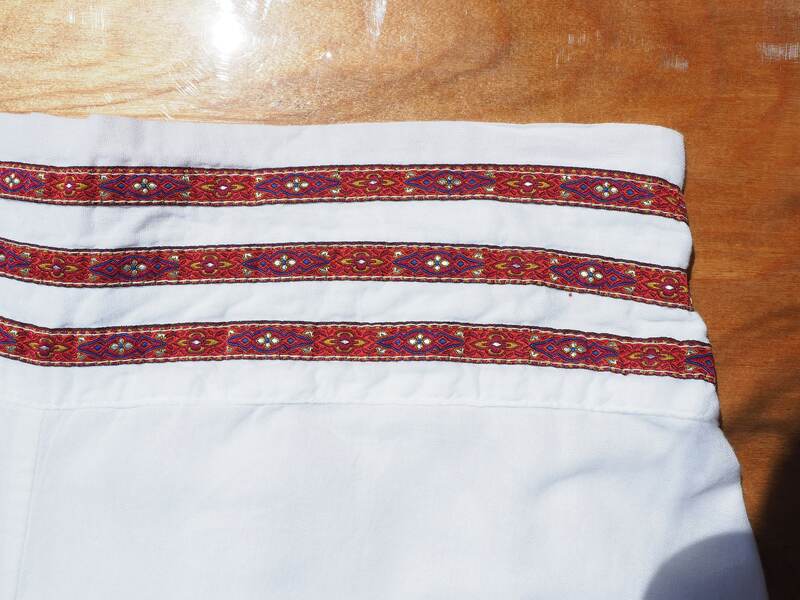 They are made with strong stitching and dyes that don't run. You will love these pants. SMALL/MEDIUM fit women above 5' (if you are 5'3" or shorter, tie the sides up higher). The waistband is flexible from 30"-40" and can be worn around your hips or at your waist. Generally, sizes 2-8 fit Small/Medium. *Please note, White is not pre-shrunk. The colors are. Colors measure 29"-38" at the hips/waist. If you want your white pants this size, simply wash in hot hot water and hang dry. LARGE fit women above 5'3" (if you are 5"5' or shorter, tie the sides up higher). The waistband is flexible from 34"-43" and can be worn around your hips or at your waist. Generally sizes 10-14 fit Large. *Please note, White is not pre-shrunk. The colors are. Colors measure 33"-42" at the hips/waist. If you want your white pants this size, simply wash in HOT water and hang dry. I recommend ordering so that you have some stretch around your waist to hold the pants on - they won't feel too tight since the elastic portion of the waistband is wide and has decent give for movement. For example, if you are 38" around the waistline, order a Small/Medium. These pants are so pretty!! Some people think I’m wearing a skirt. 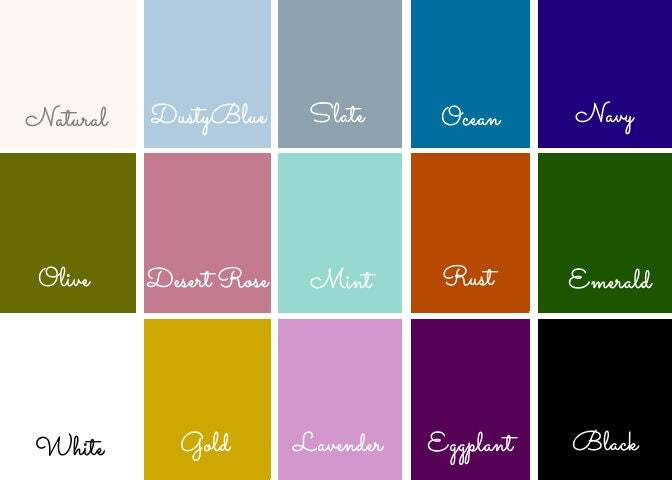 I want to order a couple more pairs in the same colors (and at least one more white), in case anything happens to them, and so I can continue to wear them when one pair gets dirty and I’m waiting to wash. Every piece in this collection mixes and matches and compliments your own wardrobe. Once you buy one piece, you’ll be hooked. These are my favorite items that I own. These are great for summer, airy, breezy and feminine. They look great. The rise is an inch or 2 too short and sometimes rides up n an uncomfortable way, but none-the-less, I have kept them and will wear. These are so perfect. For yoga, for lounging, for warm summer days. I have nothing more to say than they are perfect!